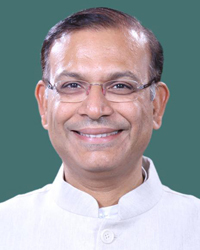 will be completed by the end of 2018, Minister of State for Civil Aviation Jayant Sinha said. Its regional arm, ground handling, and engineering operations will also be sold separately in the same process. With over Rs. 50,000 crore in debt, five subsidiaries and a joint venture (JV), and a combined workforce of 27,000 Air India has been running into losses. So, a successful disinvestment of the Maharaja will be a huge relief for Prime Minister Modi. The airline, now trying hard to stay afloat on a taxpayer-funded bailout, has strained government finances for decades, and Finance Minister Arun Jaitley said last year that money spent on Air India could have been used for education. "The aviation sector is a very fast growing sector, with really exciting opportunities for all participants, so we felt all of this will unlock growth and competitiveness of Air India group," Sinha told PTI. "We expect it to be a very bright future for its employees." Though the minister declined to name potential bidders but he said management control will be retained by local investors. The government altered foreign investment rules last week, allowing foreign airlines to own as much as 49 percent of Air India. Investors' interest will be sought by end of this month, Sinha added. The government has earlier said that most of the debt owed by the carrier will be retained on the government's balance sheet, while borrowings linked to core operations will be passed on to the new investors. A so-called special purpose vehicle will hold the unsustainable debt of the airline, Sinha said. The Maharaja has been unprofitable since its 2007 merger with state-owned domestic operator Indian Airlines Ltd. The company made an operating profit of about Rs. 100 crore ($15.7 million) in the year through March 2016, primarily due to a slump in oil prices. It still posted a net loss of Rs. 3,840 crore, according to the government.